Muizenberg, together with Kalk Bay, forms a cultural center that services the bohemian lifestyle of the southern suburbs and offers a variety of art facilities. Watch performances, dance shows, cabaret or comedy at the Masque Theatre or Kalk Bay Theater. Listen to classical music at the Lindbergh Society or dance Tango and Salsa at Fogey’s Jazz Bar. The Olive Station offers all sorts of cultural shows, dances and dinners as well as olive and wine tasting events with a view across the bay to the Stellenbosch mountains. 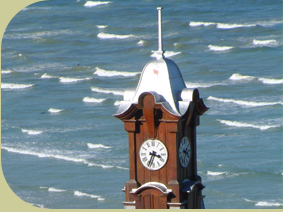 Visit www.muizenberg.info for all the information you may need for walks and hikes, arts and entertainment, community life, historical tours as well as an inventory of businesses, services and maps.